When you are creating artwork you will use a variety of design elements. The better your understanding of design elements the easier you will be able to communicate with your graphics. We will focus on the Line and the impact a line can have visually, aesthetically and psychologically. Definition: a line is a path with a beginning and an end. It can be defined as the connection between a start point and an end point. Generally a line has one direction, but that direction can be unclear or ambiguous. Lines are 1 dimensional and can vary in style, thickness, direction and length. A line can be real or it can be imaginary or implied. How we understand a line is directly related to our environment and how we understand our environment. A hunter in the stone age needed to read his environment to ensure his survival and successful hunt. Let us look at some lines based on position in detail. A horizontal line suggests calm and a resting position. Humans and most animals will take a horizontal position when resting . Cows seem to be an exception, they sleep in a standing position. If we relate this to our prehistoric ancestor he would view an animal or a stranger in a resting position as less of a threat. A horizontal line may give the illusion of space. In a landscape the horizontal line goes from left to right and suggests continuation of the landscape to both sides. 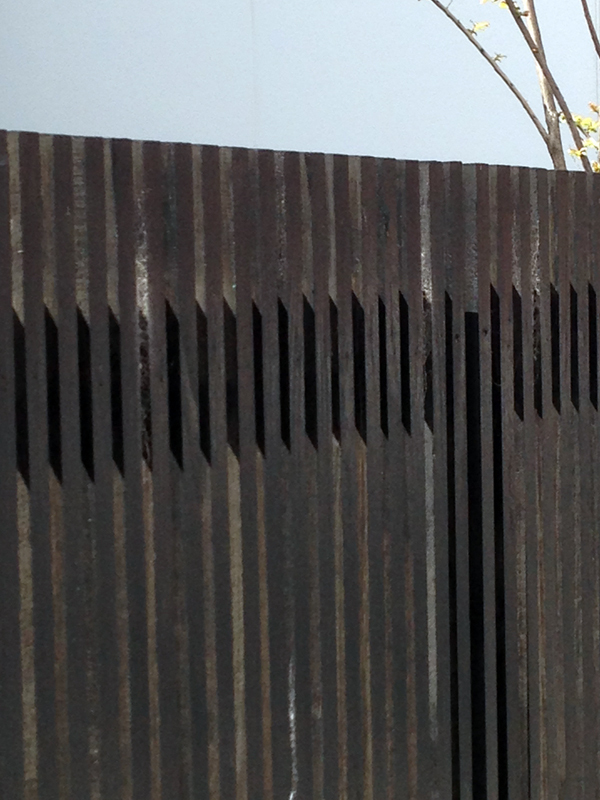 Vertical lines in repetition emphasise stability. Vertical lines have a relaxing effect. Vertical lines are less stable and give a sense of height. The higher the vertical line reaches the more it can be read as something powerful, heavenly and beyond our reach. Depending on the object vertical lines can give a feeling of change and growth (eg a forest of tall vertical trunks). In architecture the use of vertical lines can give a sense of height and power. Vertical lines can be perceived as a threat, as in a standing person. Our prehistoric ancestor would view strangers and animals in a standing position as awake and potentially aware of his presence. They may even observe him. Vertical lines in repetition can create a strong rhythm. Vertical lines can be perceived as moody. A diagonal line suggests movement. Objects in diagonal positions can appear unstable, either they are about to fall (as in the image of a falling tree) or they are in motion (a sprinter). In an image that shows perspective the diagonal lines depict the highest and lowest point of a row objects receding into the horizon. The line seems to commence with the object in front and recedes to the vanishing point on the horizon. Diagonal lines will draw the viewer’s gaze into the image. Diagonal lines are very powerful and seemingly in motion. Diagonal lines in repetition emphasise movement and can create a strong rhythm. Diagonal lines can be related to chaos and instability. The combination of the two lines will combine elements of the horizontal line with the qualities of the vertical line. A grid will look extremely stable and strong. A low and wide object will appear stable. A high object will appear strong and important. The rectilinear nature of the lines suggest a building or object that has been built and is structurally stable. The lines to this point were related to positioning. The curve is related to the flow of the line. When a line is straight it adds little in the form of character or personality to the line. A straight line looks static and the positioning is the only indicator to the position or level of movement. A curve is very different to that. A curve is energetic and implies change of direction or motion. Gentle curves convey slow, gentle movement and remind us of the sensual qualities of a human body. Gentle curves can have a very pleasing and softening influence on a picture. Like the horizontal line a gentle curve can be relaxing, but it is also stimulating. Sharp curves convey fast, abrupt movements. This can be read as chaos or violent movement, like the struggle for victory between a predator and its prey. Sharp curves and twists can give a composition a chaotic and intense feel. Steel Curves, Image: courtesy of flickr.com, photographer: Margeois. Continuous lines refer to lines either as a drawn, printed or as the continuation of the edge of a shape or object. We draw our world with the aid of lines, yet in reality there are no lines, but shapes and objects. There are different types of lines distinguishable by their quality: continuous, broken, dotted, thick, thin, hair lines, light, dark, in colour, even, uneven, etc. Every line is treating a subject in a certain way and therefore has a strong impact on the viewer’s emotions and understanding of the work. Lines can add emphasis and give depth to an object. Read more about the quality of lines at a later post. An implied line may be a connection of objects or the continuation of a rhythm, it can be the continuation of an arrow or pointer or the path of the direction of someone’s eyes looking. It can be a person pointing at something with the index finger. Implied lines are very powerful tools of the graphic designer. A psychological study conducted by researchers at the universities of Exeter and Lincoln found that biological cues, such as eye-gazing and finger-pointing were far more powerful to the human psyche than text-based (left, right) or icon-based cues (arrows). The reasons for this may lay in the fact that a biological cue relates to how we may read a person and a person’s body language. A person might pass on important cues to us with their body language. Looking at something may be a hint that was not given intentionally by the sender (of the information). Read more at: Psychology Study Points to Giving Arrow the Finger at University of Lincoln site. Gestures are powerful visual cue used in graphic design and were ever-present in art of many epochs. Renaissance painters like Michelangelo or Leonardo da Vinci placed visual cues into their paintings that were an indication of the artist’s views, it could represent criticism or say something about the subject. Leonardo’s Last Supper depicting the Jesus at his last supper with his apostles. Each of the hand gestures represent a message or code. There are many examples of finger-pointing in paintings, Michelangelo’s famous ‘Creation of Adam’ that can be found in the Sistine Chapel shows God reaching out to touch Adam. He seems to point at him with his index finger. Many paintings show someone pointing towards heaven. This might show the importance of heaven in Christian belief. In Leonardo’s painting of St. John the Baptist it is believed to signify salvation through baptism that John the Baptist represents. This design carried a powerful message that would stay with the viewer long after seeing the poster. One can only imagine what that poster did to the minds of young men of the early 20th Century. The Leere poster that was released became quite an icon and the concept of the finger pointing at the viewer has been reused in other recruitment posters of WWI and in other designs ever after. The Uncle Sam poster was released in 1916 and became possible more famous in a commercial context. This concept has been picked up in a more commercial context. Below are two interesting examples from Emily the Strange and a concept for a lipstick advertisement by Samantha Cain. Applying the eye gaze and pointing finger to a design piece can add a clear flow and focus to your design and assist the Visual Hierarchy and message of your work. 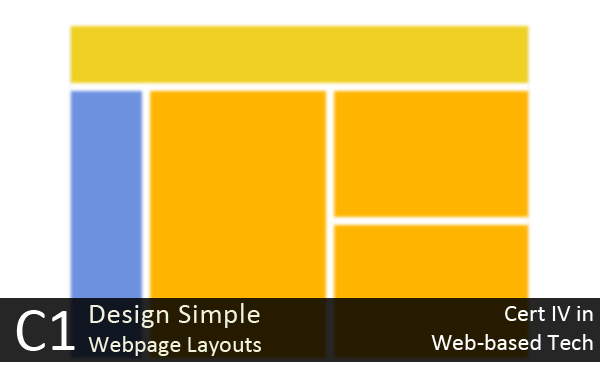 Your website needs to have a well-designed layout. We will continue using divs (Read up on Divs on W3School) and complete a website in class. Attend class to learn about how to set up your website in Dreamweaver. You will learn how to create divs, place images, create an interactive menu and more. Please leave your feedback in form of a comment. Your feedback and suggestions will help me to make this blog more user friendly. Thanks! Today we will have to insert a workshop on basic Website security. What is a (Web) Host/(Web) Hosting? What does ISP stand for? Explain IP Address and give an example! What is the difference between a static and a dynamic IP address? What is the difference between a server and a PC? Give an example for a Gateway. What is the purpose of a Firewall and where is it located? What is meant by Malware? Give 3 examples for Malware! How can you protect your computer against Malware? Give three examples of software designed to protect your computer! Define HTTPS. How does it differ from HTTP? Explain the acronym TCP! How does it relate to IP? Create a new Word Document and insert all your definitions in there with the source of your information. Next upload this as a Day 1 Task on MyKangan in ICAWEB408A-Ensure Basic Website Security. Visual Example of a Network connected to the Internet: Example of the Internet displayed as networks. > Command Prompt. Type tracert and hit enter. This process is called tracing route to a website. I would like to thank Anonymous alias JB for the most of the documentation below. Read all the information below to be able to complete your assessment task for this unit. The IP address is always visible to the outside world. Internally, you can reduce its visibility for non-technical persons but not eliminate knowledge of the address. Security exploitation is commonplace today and so it is essential that security patches for gateway machines are kept current. Only gateway devices should have public IP addresses, not internal network computers, which should be on a private network address scheme. It is paramount to not just have Antivirus software installed, but to maintain currency . Sharing is the primary productivity benefit of networking. We have to share resources on the network such as printers and file folders in order to be productive. Some of those resources might be shared outside the local network (eg the incoming mail server) but most local network files and hardware are not meant for use outside the organisation and need to be protected. This may also include computerised machine tools used in manufacture and the building air-conditioning and lighting which may be computer controlled. It is necessary to protect the interface between the local network and the internet by the use of a Firewall. A Firewall will allow management of what links (protocols/ports) are available between the local network and the internet. For example, it would be possible to only allow Email traffic. A Firewall may either be software running on the gateway or most likely today an Appliance that sits between the Gateway and the Internet. The advantage of an Appliance is that it is purpose built for managing security risks. Weak passwords are the single most common cause of security failure. Ensure that personal computer protocols and preferences follow security protocols. (Too many uses of the word protocol here and with different nuances of meaning). As the risk of an unexpected new threat is always there, it is essential that there are rules for how information about the internal network is managed. These include, establishing minimum password lengths and types, where business files are saved and how or if visitors are allowed any computer access. Ensure that all staff understand security issues and in particular the role of HTTPS in creating secure data links; how to handle suspicious email and what to do if they suspect their computer is infected by a virus or otherwise compromised. Ensure that processes exist to install and maintain Antivirus on all workstations. Induction program for new staff on computer security and use procedures. When a computer is directly connected to the internet, (e.g. at Home) shared printers and shared files are exposed to the internet and this can be exploited, particularly if passwords on the files/printers do not exist or are weak. At home, disabling file and printer sharing would prevent sharing of things such as iTunes on the local network. The better strategy is to make sure you have very strong passwords on the printer and file shares. Do not disable or uninstall File and Printer sharing on a Business network. Disabling this will mean that the network cannot operate effectively in sharing data and services, which is its main purpose. In commercial environments (e.g. Kangan), TCP/IP is usually the only network protocol in use and the gateway server/appliance is the first level of defence against outside access. Most modern networks store shared files only on the server with robust security measures controlled by the server software. Ensure that network basic input/output system (NETBIOS) over TCP/IP is disabled. NETBIOS is a network Applications Programming Interface (API) that was used prior to Windows 2000 / XP to identify the individual computers on the network. Essentially it was the means by which data was directed across the network, by applications, to the computer that required it. It is not really a network protocol as such, more like a utility that software can implement to communicate between machines. It is not secure as it was developed in the context that the network was ‘trusted’ and only local (not internet exposed). NETBIOS is easily exploited to gain unauthorised access. NETBIOS exists by default in all Windows releases using TCP/IP, including Windows 8. NETBIOS should not be implemented on any current systems and must be disabled. When Windows 2000 / XP first came out, NETBIOS was required to allow for some applications to work across networks that also had Windows98 machines. Those applications and services that depend on NetBIOS over TCP/IP no longer function once NetBIOS over TCP/IP is disabled. Please download the assessment task here (on Wednesday) and upload to MyKangan. Select a tutorial from below, complete it, add meta-data to the PSD file. Save as a JPEG and email a copy to me(with all relevant meta-data). As we saw last week working with lines can be a lot of fun and create very dynamic results. Photoshop has many interesting options on using lines. Particularly the many effects that are part of Photoshop can lead to stunning results. Windows Vista Aurora Effect – a good and reasonably easy to follow tutorial by a favourite site of mine: Tutorial9. Luminescent Lines – this tutorial from a great Photoshop tutorial site – PSD Learning – looks at customising brush dynamics. Fun to do and an interesting start: use a photo to create a suprisingly abstract and attractive background. A good tutorial to try on your own. Gentle Curves of Pure Light – follow the tutorial from PhotoshopEssentials in class to create gentle curves with the pen tool and turn them into bright light. 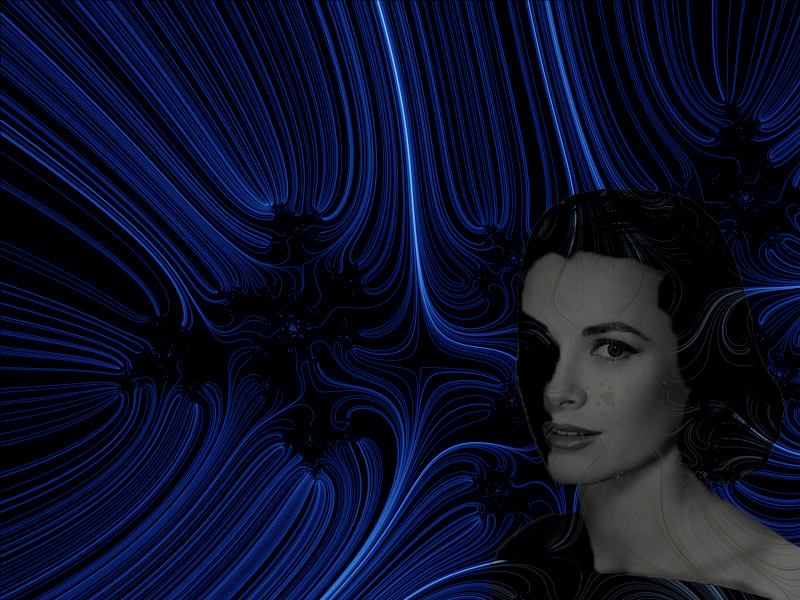 Abstract Background – this is a more basic tutorial from YourPhotoshopGuide. It is good to introduce the Lens Flare filter and makes good use of the Free Transform and copy layer options. Wavy Blackberry Style Wallpaper – this is a great tutorial from psdtuts+. It consists of 16 steps, but the result is convincing and you will learn a few good techniques on how to work with gradients and how to add depth to your work. Lines Tutorial – follow the in-class instructions to create an image like the one below. I basically used the Brush tool and drew straight lines. Next I multiplied layers (Ctrl+J) and changed the layer blending mode. 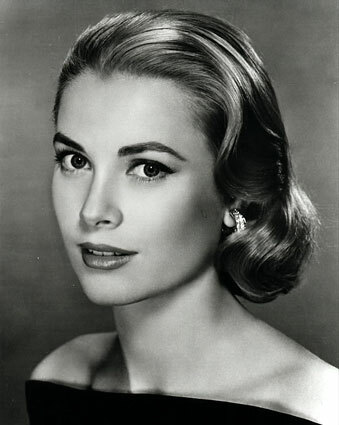 I added a photo, in the example a photo of Grace Kelly and masked selections. Otherwise use Google and add Creative Commons to your search criteria. Webdesigners benefit from storyboarding. It helps organising content and ensures that every element is included in a logical place according to topic and site. Read the post on Storyboarding Your Website (Source: nmasse.com). Use Design to guide user’s eye to the information. Keep the layout simple and uncluttered. Use consistent navigation bar throughout the site. Organize text material in clearly defined groups. Be consistent, clear and concise. Do not include essential information on roll-over images. A Help Desk Number to a live person. A context sensitive ‘HELP’ button. An e-mail ‘Ask a Photographer’ or ‘Ask an Accountant’ or ‘Ask an Expert’ option. Today you will learn how to create divs and add colour to them. This workshop is about creating storyboards. A storyboard is a number of drawings, descriptions and annotations that help organising a story visually. A storyboard is helpful in establishing a number of steps within a story. It will support you in organising the elements and give your story a clear focus. Storyboarding a film is quite different from storyboarding a website. Storyboards can be created using software or it can be created with pen and paper. When you create a storyboard on paper I recommend to use colours and plenty of annotations. Example of a storyboard with annotations. Courtesy of Sarah Pritchard. Please follow the link below and read How to Do a Rough Storyboard by Jane Stevens. After reading the post please complete the task below. The assessment task will be included in (clustered with) C1 – Design Simple Website Layouts. We will look at lines today with fresh eyes (I hope). Line can be defined as having a starting point and an end point and the connection between the two is what the line actually is. Lines are quite an amazing tool for many creators: when drawing the caricaturist uses lines to create his mean contortions to display a fatter, bolder, thinner, long nosed, big mouthed version of his subject. A writer uses lines to create text filled with meaning. A graph shows the changes in the economy and an arrow points at something. Lines can be a powerful tool of expression and we will start today’s class with a blank sheet of paper and a pencil. A line is a fundamental design and art element. We describe the world around us with line drawings. We draw the contour or outline of objects and shapes that we see around us to define them on a sheet of paper, a canvas or other 2D platform. This was already established by our forefathers who used the walls of caves as their canvas to depict the world around them. 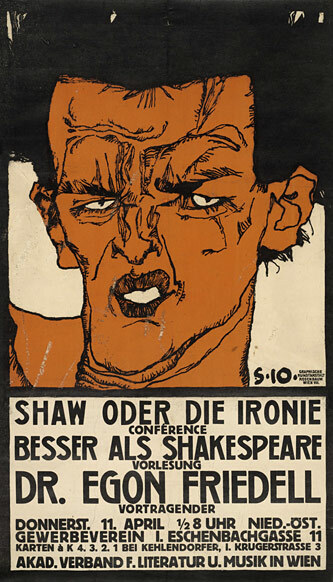 The illustration is by Viennese artist Egon Schiele (pronounced: Sheelah) and you notice how lines are used to display the outlines and expression of a man. The lines do not exist as such in life, a person does not have a contour line around them and their eyes are not two curved lines either. So, lines are used as a form of expression. Lines are borrowed in drawings to create shapes and outlines. The function of a line in design (and art) goes beyond that though. First and foremost in an abstract sense a line is something that we perceive more than view. It gives us a sense of direction. In this sense lines seem to always have one or more directions. The lines in the image above seem to move from left to right if you are of a culture that reads from left to right. Outline describes the outer boundary of a two-dimensional shape. Contour is the use of line to define the edge of an object and emphasize the volume or mass of the form. Gestural lines are quick marks that capture the impression of a pose or movement. Implied lines are suggested or broken lines that are completed with your imagination through the concept of closure. An arrow is used to suggest a direction or path for the eye to follow. Calligraphy is beautiful, expressive marks. An expressive stroke freely uses the characteristics of line to convey emotion to the viewer, much like an individual’s handwriting changes with different moods. Analytical line is a formal use of line. Analytical line is closer to geometry with its use of precise and controlled marks. A grid is a very popular analytical use of visual line as a way to organize a design. The Golden Section is an example of the traditional use of analytical classical line, which uses calculated implied lines to bring unity to the structure of a painting composition. Modeling line is used to create the illusion of volume in drawing. Hatching is the use of parallel lines to suggest value change. Parallel lines on another angle can be added to create cross-hatching to build up a gradation and more value in areas of a drawing. Directional lines suggest movement or a path of vision and have specific connotations associated with them for example: Vertical lines suggest power and authority; horizontal lines suggest peace and tranquility. Together they give a feeling of calm and stability. Diagonal lines suggest tension; curved lines are graceful and fluid. Together they create a feeling of stress and movement. Click on the image above and save 5 -10 images to inspire you to create a Photoshop generated image that displays lines as a rhythmic component. Before you save the file and email it to me, make sure to include the Meta Data. 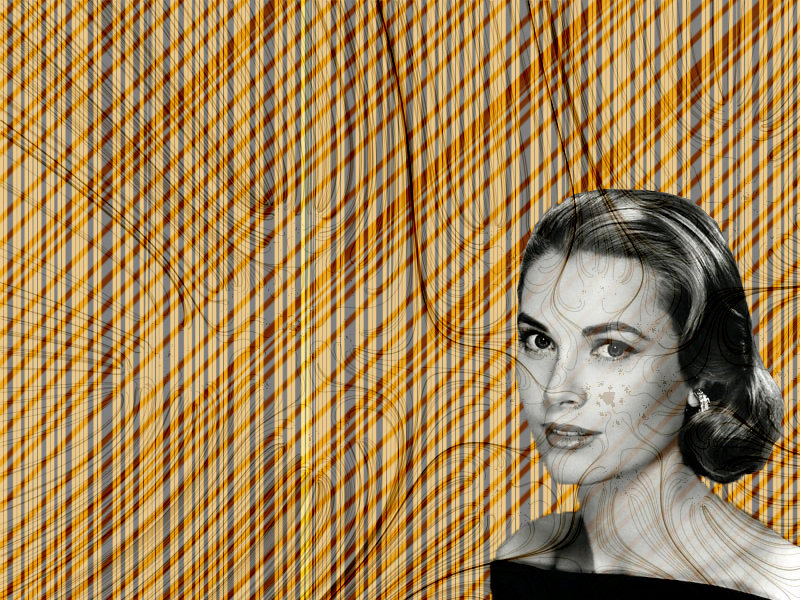 Below is an example of a Photoshop generated study incorporating a portrait of the US-American actress Grace Kelly (image can be found at: GettingCheeky) with straight lines at different angles and a wallpaper found on FreeFever.com. Part of a table created in Dreamweaver. The colour is Olive. We will commence today’s Dreamweaver session by looking at the same content from Tuesday’s class. 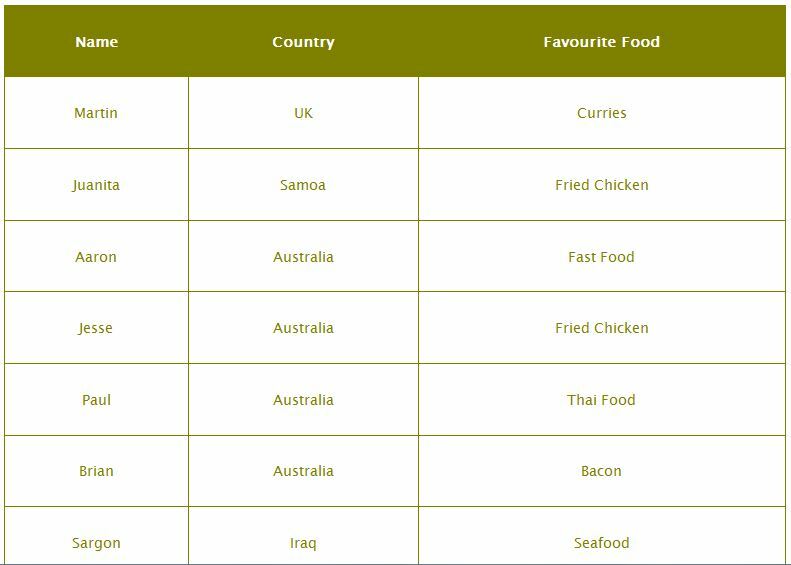 Recreate the table in the image above using Dreamweaver. Make sure to play with the different values at this link Boxmodel in W3Schools TryEditor, eg change the padding, margin, border, content to actually see the difference that it makes. Spend at least 20-30 mins changing values around. Today I will give out the final assessment task for customer service. Please read How to handle customer complaints – TrainingMag and participate in the class activity. Students can work on this assessment until completion. The Glossy Reflection is transparent on top and gets whiter towards the bottom. The underlined text and insertion point at end of the word indicates that you are still in the type mode. The grass layer has been turned into a clipping mask with the shape of the rabbit below. This is a template for a business website found at TemplateMonster. It is interesting in the sense that it breaks up the main image as part of the navigation. The sound it comes with is annoying. Using the Reflect tool (o) to reflect the i downwards as if it has collapsed in front. Free Transform and Ctrl – I am loving it!! !